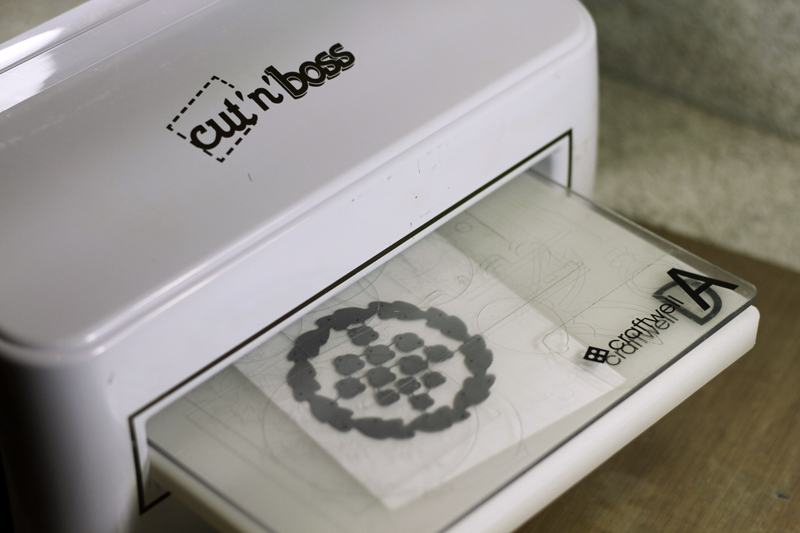 Step 1: Use Cut 'N' Boss recipe A + B + A + Material + Cutting Die + D to create a die cut of the steal die onto heavy card stock. 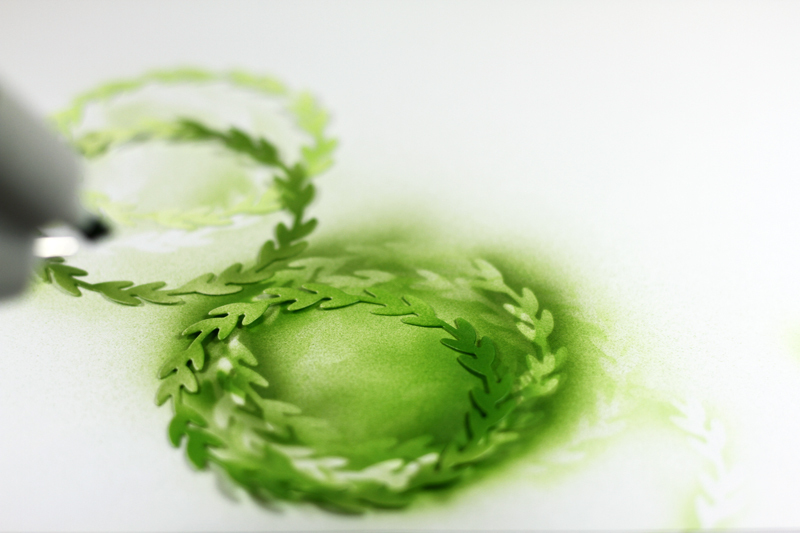 Step 2: Cut several wreaths Step 3: Use the eBrush and different shades of green for each die cut wreath. Once all the wreaths are completely dry, use tacky adhesive to layer (and slightly offset) each wreath. 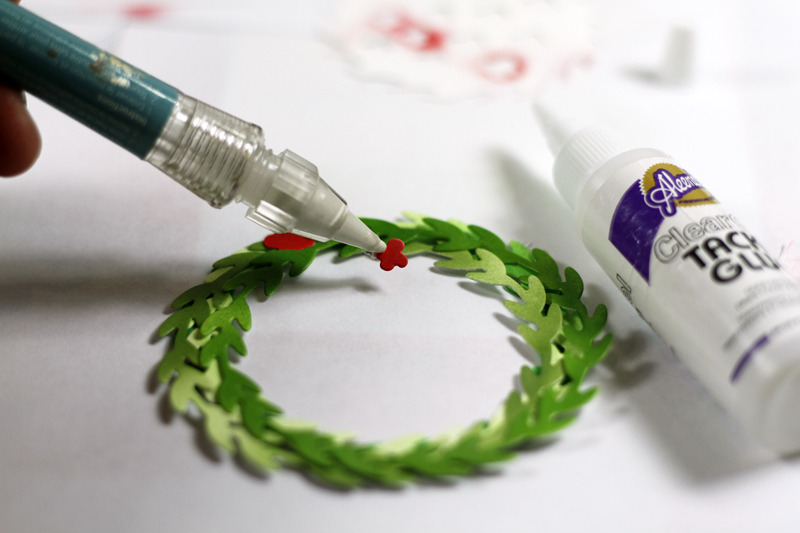 Step 4: Use tacky adhesive to embellish wreath (optional). 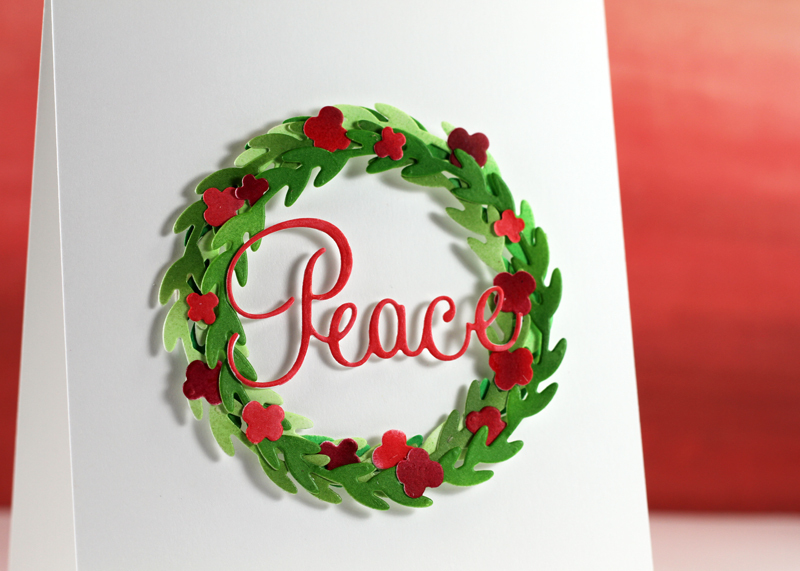 Here I used the eBrush and markers in two shades of red to shade the flowers that came with this wreath die and adhered each flower to the wreath. 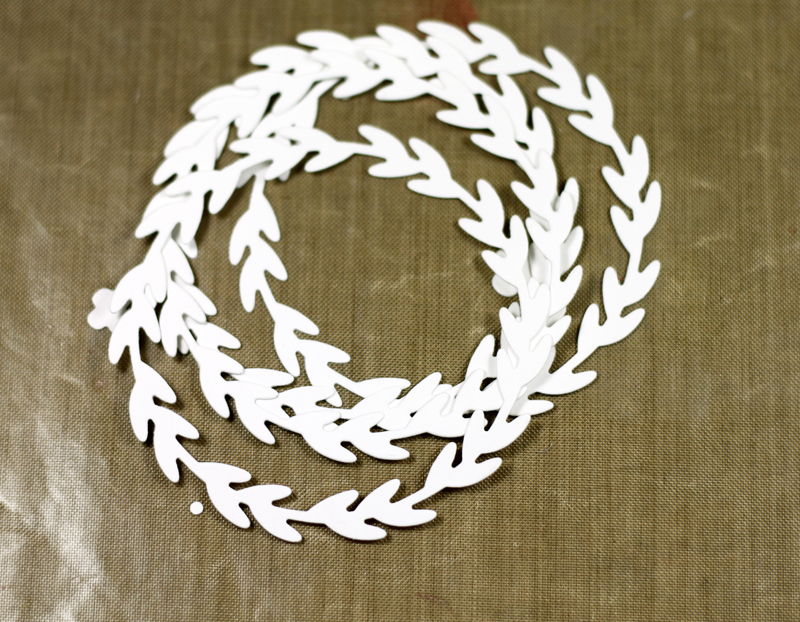 Step 5: Adhere finished wreath to card base sized to 4.25 by 5.5 inches. 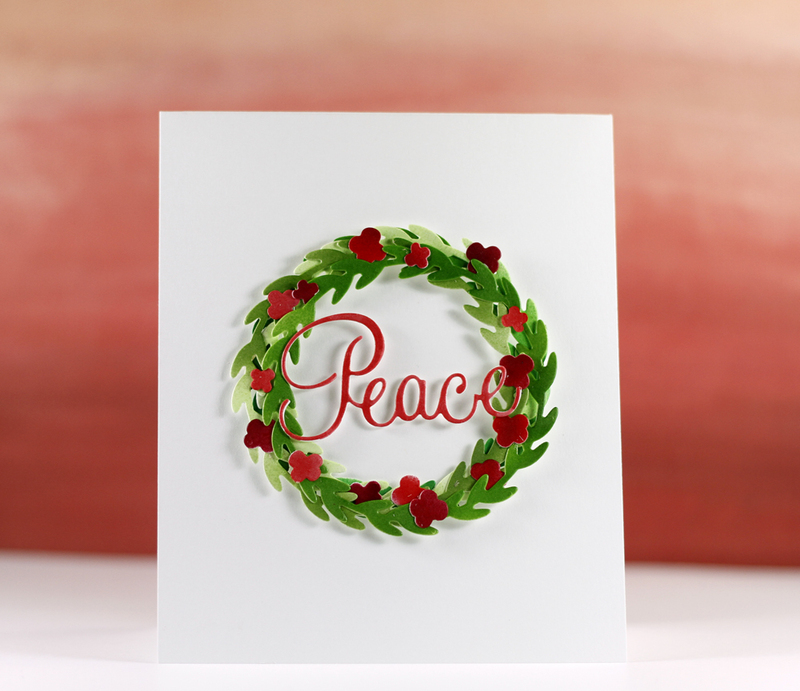 The cut 'n' boss and eBrush makes turning plain white card stock into something beautiful super easy! Are you in the holiday spirit!? Thanks so much for stopping by and have a wonderful week!